Sometimes a new piece of work fits like a glove. That’s how it was with the Royal Borough of Kingston. 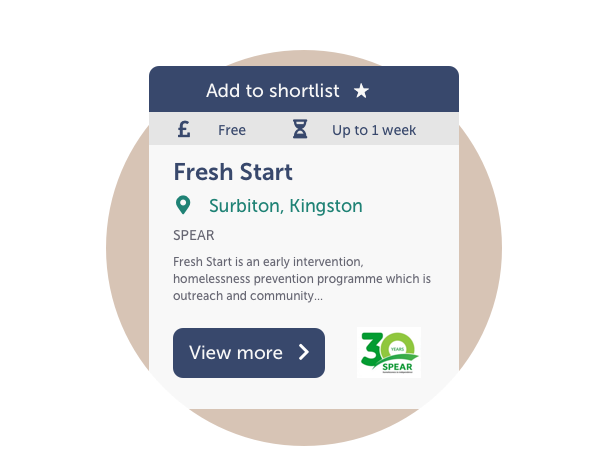 They wanted a bespoke social prescribing tool for their ‘Connected Kingston’ project. A tool built around the needs of residents, workers and services. However, their requirements went beyond user-centred design. Their digital partner needed to follow Government Digital Service (GDS) principles, integrate with their digital team and engage hundreds of local residents and organisations in co-creation activities. Oh, and they needed a beta version ready within three months.It was made for Ayup. So far we’ve delivered Phase 1 on time and exceeded expectations. We’ve also set UK data standards for social prescribing. And we’ve presented on the project at Local Gov Camp and to neighbouring boroughs. Social prescribing is a process that connects people to local activities that benefit their health and wellbeing. Its used by GPs and other frontline workers to get people’s non-clinical needs met within their community. When it works people’s self-care and support improves and strain on shrinking frontline services reduces. But social prescribing in RBK wasn’t happening. Information was fragmented, interpretations were diverse and practice was inconsistent. So RBK asked us to build a product that unified social prescribing across the borough. 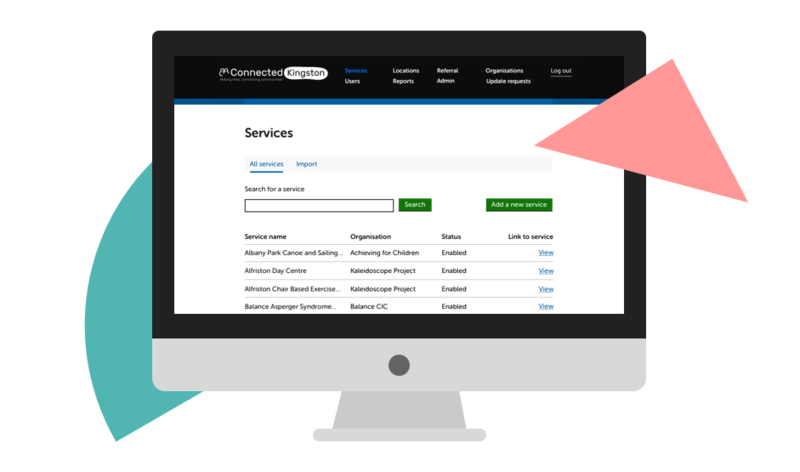 A product that made prescribing easier while supporting the diverse referral processes in use by council and Voluntary and Community Sector (VCS) services and groups. RBK ran a formal contract tendering process. They chose Ayup because we promised a bespoke digital service co-created with local people and built to GDS standards. They said they liked our values and person-centred ways of working with vulnerable people. It’s been a team effort. Even though RBK is in the south and we’re in Leeds it’s felt like we’re working in the same room. We talk every day, with team standups twice weekly. Contact is even more intense during sprints. Working in this way created a ‘no delay’ culture, avoiding the bottlenecks of big reveals and feature approvals. It also reduced the risk of scope creep and project failure associated with traditional supplier-client relationships. When things went wrong no one got blamed and we fixed it together. It was June and RBK had already arranged staff training dates for September (they were confident we’d deliver!). We needed to move fast, so we did. With our delivery partners mHabitat we reviewed RBK’s existing research and began an assumption validation process. Assumption validation is a way of learning more about the needs and behaviours of the ‘actors’ involved in a process. That included RBK residents, workers and services. We ran a stakeholder workshop for 52 people from the council, VCS and resident groups. Then we ran 1-1s with 33 people representing 16 groups. The work generated 298 insights that we synthesized into a list of user stories. It also gave people a chance to know us and feel comfortable about co-creating together. Research alone isn’t enough. For a project of this scale we needed to deepen our learning by testing solutions. So we created a series of simple clickable wireframes and tested them with 25 workers, over nine one hour sessions. The wireframes were deliberately lo-fi so we could iterate them in between tests. The tests generated accurate insights into people’s design and accessibility requirements. Afterwards we synthesized the feedback and began mapping the product’s architecture. It is was also during this stage that we created the Connected Kingston brand. More testing. This time a high-fidelity prototype with real features and real backend data. We also did more data validation work, increasing certainty about what data to capture, its presentation format, and its required storage structure. At the same time we began work on the product’s API, turning it into an interoperable system. This enabled it to integrate with the council website and created scope for future chatbot interfaces. More immediately though it meant we were able to connect it to Gov.UK’s Notify and PaaS systems. Notify makes it easier to implement SMS messaging for users. PaaS provides trusted hosting and speeds up new application deployment. 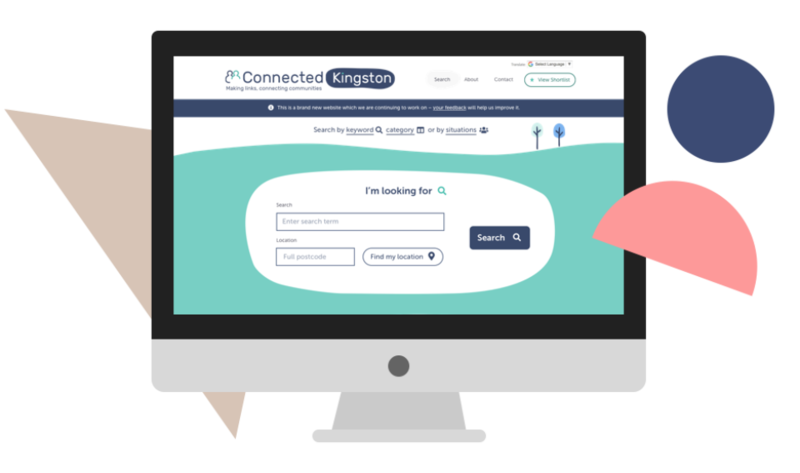 Digital services as complex as Connected Kingston don’t go from not-live to live overnight. Instead they go through a series of staged launches, specific to different audience groups. Each milestone we hit increased RBK’s anticipation of success. By September we’d hit them all and delivered Phase 1’s beta for workers bang on time. Not only that but we actually delivered 90% of the final system, exceeding RBK’s requirements. Since then worker and service adoption has been excellent, rapidly generating value. RBK believe our co-design and open approach is partly responsible because stakeholders have felt so involved. The Ministry of Housing, Communities and Local Government have noticed our work. They see its data standards as a benchmark for council run social prescribing platforms. So, now we’re on to Phase 2, delivering the public beta and a user interface for residents. We’ve also developed a playbook. This guide to the project culture and processes helps everyone stay focused and reduces disruption to project delivery as personnel change.